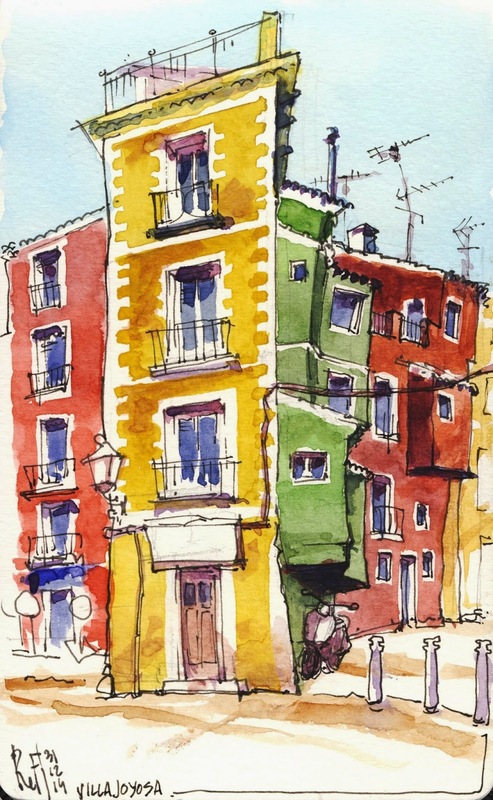 by René Fijten, Maastricht, the Netherlands, while visiting Spain. The advantage of spending the Christmas holidays in a beach town in Spain is that you can sit on a terrace in the sun without dark sunglasses and stupid coloured bermuda shorts. I made these drawings on the last day of the year, the 31st of December. My family went for a long walk on the rocky hills along the sea. 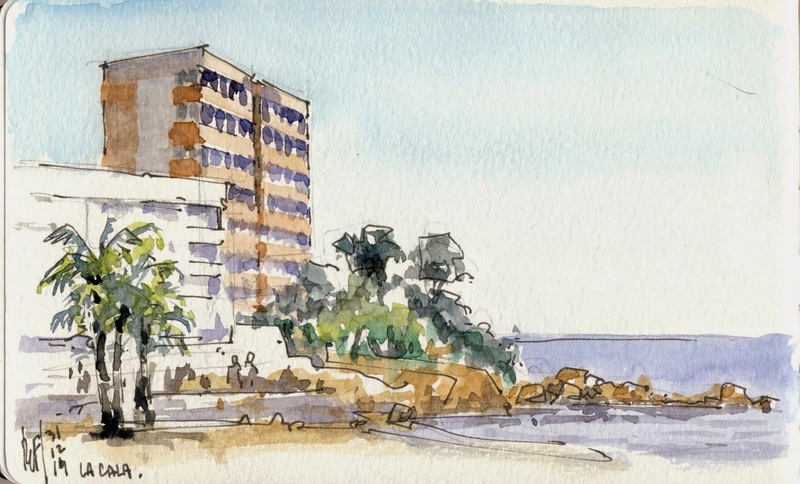 I brought them away to La Cala and picked them up in Villajoyosa, so I had enough opportunity to sit on the terraces and sketch. The seaview is the beach of La Cala (next to Benidorm). 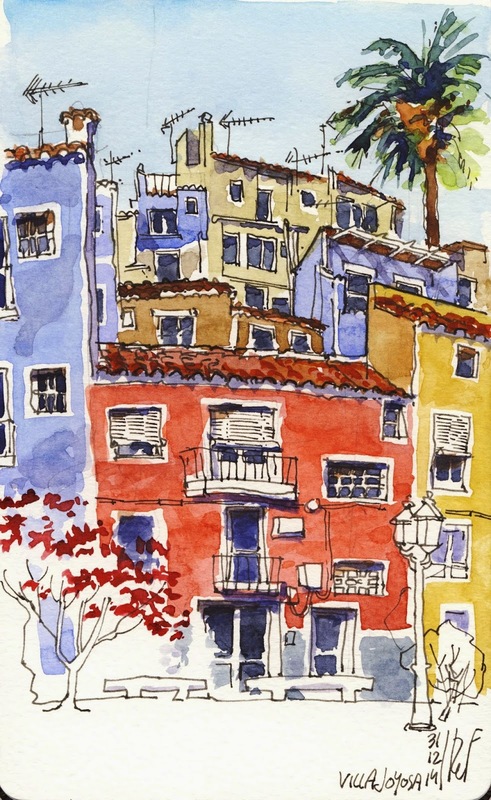 The other drawings are the multicoloured seafront houses of Villajoyosa. I all cases I choose the terraces for the smell of fresh coffee, I only noticed the views at a second look.